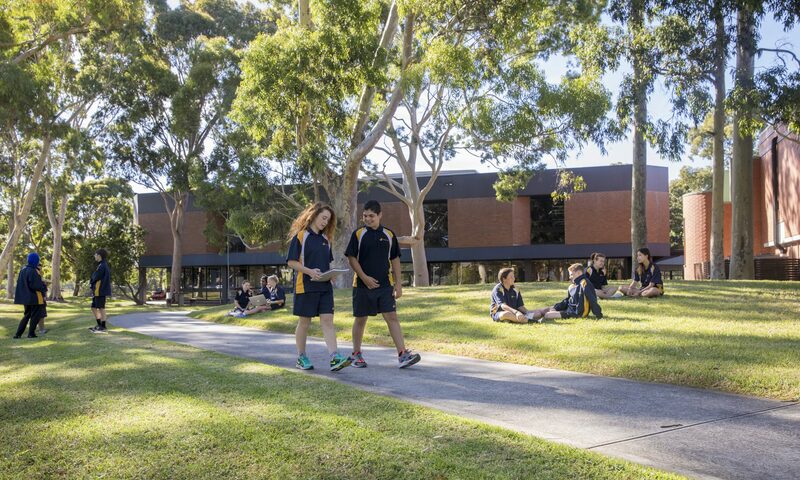 At Coburg High School, we have a purpose-built contemporary learning environment that centres around learning commons and specialist classrooms. Our learning commons and classrooms enable high levels of differentiation of student learning to cater to the needs, interests and aspirations of individual students. We foster teacher collaboration through team-based curriculum planning, teaching and assessment and promote a sense of community by ensuring that our learning and teaching is shared and that we mutually care for and respect each other. Our science laboratories, music rooms, and some art rooms are enclosed and our drama and dance studio (the Space) and the theatrette provide high quality performance and presentation spaces. Smaller conference rooms are incorporated into the design of the school and provide private spaces for individual or small group study, meetings, and counselling services. We have a large gymnasium, numerous basketball courts and a workout gym and weights room. In 2018 and 2019, we will commence the second-stage $1.9 million renovations to develop and expand our library and contemporary Learning Resource Centre at Coburg High School. In 2018 we are constructing four new $560,000 external courts as part of the Sports & Recreation Victoria’s ‘Inner City Netball Program’. The courts will be used for netball, basketball, tennis and futsal.